One of our competitors is selling an indoor antenna that is about the size of your window. They’re calling it the most powerful flat antenna ever. Yeah, it probably is, if you want to cover your whole window with an antenna. I mean seriously, it blocks out the light from the whole window. I am not kidding. But yes, it’s a flat antenna and it probably is the most powerful one ever, because it’s just so big. With antennas, size matters. Sure, smaller antennas can make up for some of their problems with super-clean amplifiers and smart design, but there’s no substitute for good old length when it comes to an antenna element. An antenna that is twice as long will pull in twice as much signal and that means it’s going to do a great job pulling in those weak channels. An amplifier can’t amplify a signal if it doesn’t come in at all, and a smaller antenna just might not pull in those weaker signals, period. Personally I would rather use a more conventional antenna like the Xtreme Signal HDB4X inside if I couldn’t mount it outside. OK, it’s not flat. But it doesn’t block out the light either. And it does meet most HOA requirements so if you have even a small patio or ledge that it can go on, it will work outside where that flat antenna will just flop around. 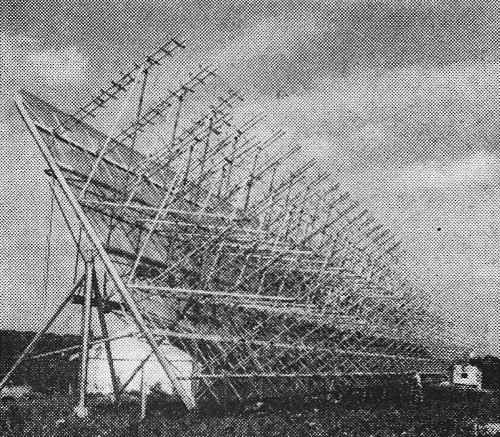 At Solid Signal we are not developing a competing antenna to that gigantic one that covers your whole window, because we just don’t believe people want it. Simple as that. What is the best built antenna?